incorporated at nearly every turn. Over the main sitting area hangs a giant wall sculpture (probably not the right term, but I didn’t do so well in Art History class). As I sat in a meeting just last week underneath this piece, I kept thinking it looked like a bunch of small, inverted soccer balls all stuck together, and somehow it was perfect. 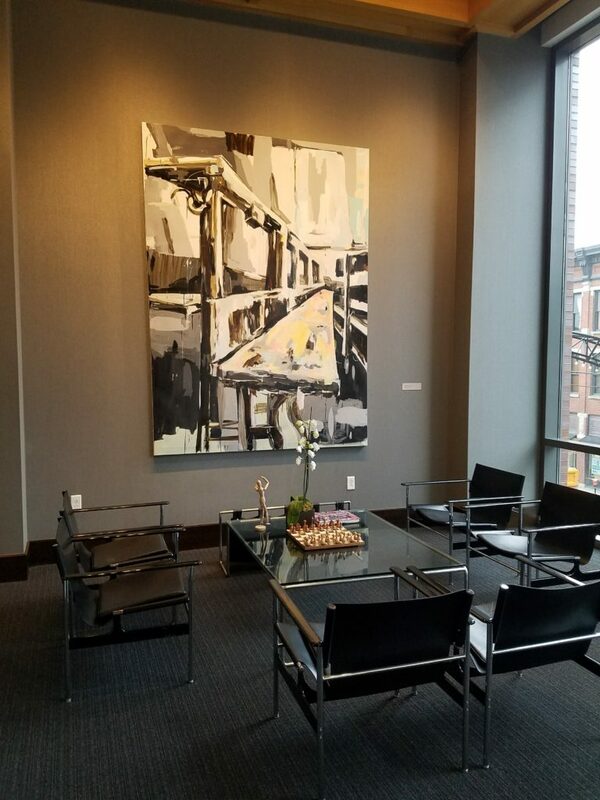 After you’ve entered the lobby, if you haven’t already gravitated to SOUL, the small bar tucked around the corner, then head upstairs to check out the public art collection. BUT WAIT! Don’t move too quickly up the stairs, or you might miss one of my favorite things at The Joseph. There is a motion-censored art/light fixture in the stairwell. It spins! Super cool. Upstairs you will find a wide variety of art, from paintings to photographs. 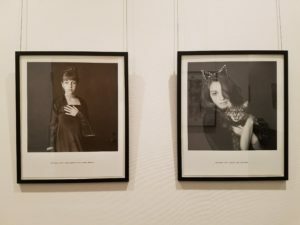 Along the back wall near the meeting space, you’ll find some super cool photos of a child, Lydie, in various Halloween costumes throughout her life as well as other pieces that were curates specifically for the hotel by 15 different artists. 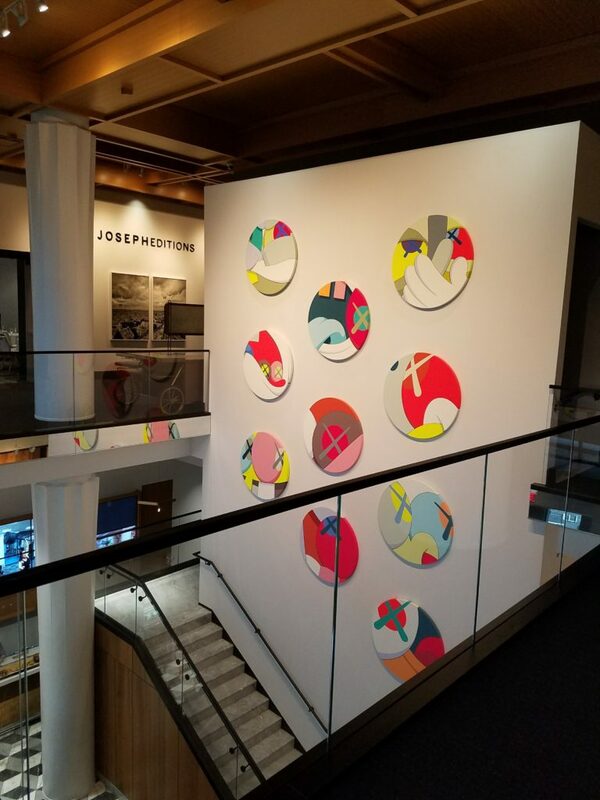 If you fall madly in love with any of these pieces, you can actually purchase them at the Joseph Collection. Another cool feature is the introduction of the Spa Suites. No, no. 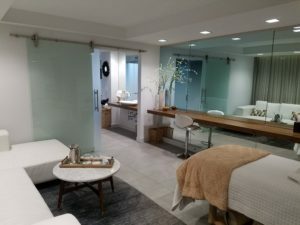 This isn’t an overnight room, this is a unique type of spa experience, where guests can relax in the Spa Suite and schedule typical spa services. The spa suites available include a stone tiled rain shower, a heated mosaic tile bed among body sprayers and a large relaxation lounge. Services include massages, facials, body scrubs and specific services for men! Still looking for ways to enjoy The Joseph? Of course, there is food. Adjacent to The Joseph is The Guild House. 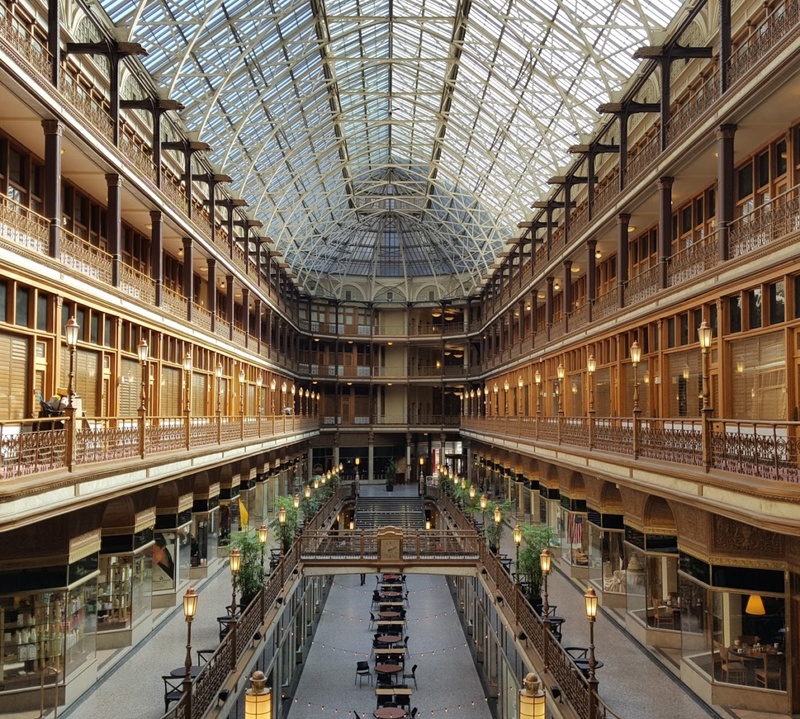 Like other fabulous hotel restaurants around Columbus, such as the Gallerie at the Hilton Columbus Downtown just up the street, The Guild House is not your average dining experience. Operated by Columbus Restaurateur, Cameron Mitchell, hotel guests and locals alike can enjoy a fabulous brunch on a Saturday morning or a fine dining, special occasion dinner at night. In addition to SOUL inside the lobby of the hotel, The Guild House also has a great bar that everyone should sip some bourbon in. 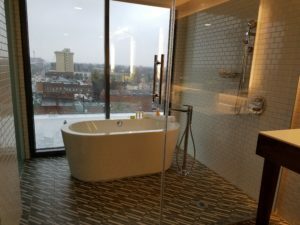 If you want the whole experience, I highly recommend checking in early, spending some time in a Spa Suite before a fabulous dinner and the Short North’s Gallery Hop before tucking into a wonderful night’s rest, followed by Eggs Benedict and fresh squeezed OJ. If you do, you might just see me there.